Over a period of several nights, a team of bonsai bandits stole the cream of Iimura's collection, regarded as some of the most exquisite in existence, CNN reported. It was like losing a child, Iimura said in a Facebook post. The only thing worse would be if the trees weren't properly cared for and centuries' worth of work withered away because of neglect. "I want whoever took the bonsai to make sure they are watered. The shimpaku lived for 400 years. It needs care and can't survive a week without water," Iimura said in the grief-stricken post on her Facebook page, referring to rare junipers that were stolen. "They can live forever - even after we're gone, if they receive the proper care." Clearly, the thieves knew what they were doing in last month's heist. They stole a total of seven trees, but those were the most expensive in Iimura's collection, according to CNN. Combined, the plants were worth $118,000 but could fetch much more on illicit markets. "We treated these miniature trees like our children," Iimura said. "There are no words to describe how we feel. It's like having your limbs lopped off." Iimura's husband, Seiji Iimura, is a fifth-generation bonsai master whose family has been cultivating bonsai since the Edo period, which ended in 1868. Fuyumi Iimura's Facebook profile is full of pictures of bonsai trees: mature trees in their garden, younger specimens and pre-bonsai seedlings at a greenery fair. The Iimuras' shimpaku had a similar backstory. It had been taken from a mountain more than four centuries ago, and Iimura's family had gradually culled the tree down to its current size, three feet tall and more than two feet wide. 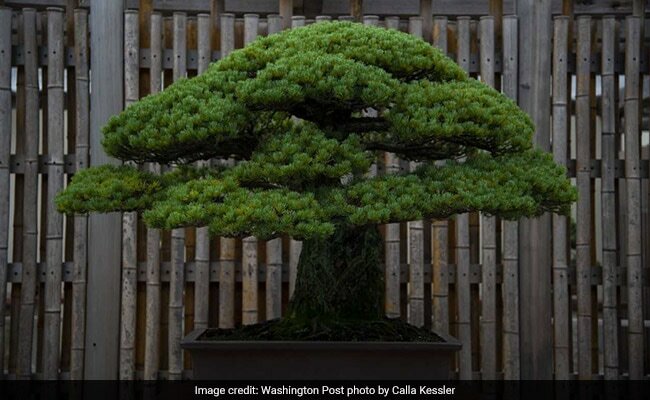 Despite its celebrity status, the Iimuras didn't hide their prized bonsai, according to the Asahi Shimbun, a national newspaper in Japan. They kept the farm open to the public, so fans could be close to the bonsai. For the same reason, the couple did not implement restrictive security measures. That will change after thieves made off with a miniature tree that costs as much as a sports car. "An individual well-versed in bonsai must have been involved in the theft," Seiji Iimura told the newspaper. In November, a farm in Saitama, Japan, had eight bonsai pots stolen - six months after a similar heist, according to the Asahi newspaper. The farm was hit even though it's equipped with eight surveillance cameras. Like many bonsai theft victims, he realized that didn't mean he'd seen his trees for the last time. The bonsai world is a small one, and people who have been ripped off frequently see their trees again on for-sale signs and collectors' Instagram accounts.